Standard Chartered has partnered with Silent Eight for its Financial Crime Compliance (FCC) teams, as part of its efforts to fight cybercrime through regtech. Silent Eight, a Singapore-based regtech, specialises in using artificial intelligence (AI) to combat financial crime. FCC is working with Silent Eight on screening optimisation to apply machine learning and natural language processing (NLP) techniques to improve the name screening process, which will learn over time. The machine will review each risk event using both private and public domain data, to provide true or false match recommendations, which will be explained in English. The screening optimisation engine will aim to replicate analyst actions during assessment, and reach a decision much faster, reducing the time it takes for an analyst to review cases. Silent Eight won the FinTech Abu Dhabi Innovation Challenge, the Monetary Authority of Singapore’s 2017 Fintech Hackcelerator award. 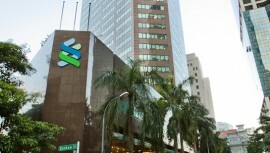 Standard Chartered has been particularly active in Hong Kong of late, with an application for its virtual banking licence underway, and a new innovation lab.